An estimated 50% of Americans are on some type of psychotropic drug. Half of the US population! What is causing such widespread prevalence of mental health disorders? Prescription anti-depressants and sedatives don’t solve the underlying problem… So how do we get to the bottom of this? 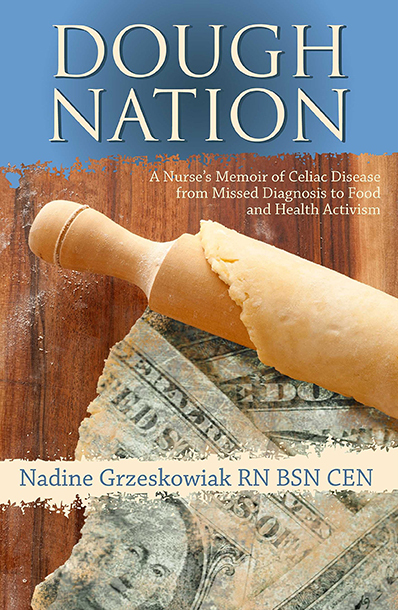 The Gluten Free RN contends that there may be a connection between mental health and undiagnosed celiac disease. Today she explains how several disorders (anxiety, depression and paranoia, among others) have been linked to gluten, discussing how a leaky blood-brain barrier can lead to hypoxia, an inflammation of the brain. Nadine walks us through the best research in mental health disorders and gluten sensitivity, sharing two landmark studies that emphasize the gut/brain connection and characterize celiac disease as primarily a neurological disorder. Nadine offers her insight around working with schizophrenic patients and the increasing number of children suffering from anxiety. Listen in to understand how gluten impacts your mental health, and learn how to eliminate brain fog, get off prescription meds, and enjoy a higher quality of life!